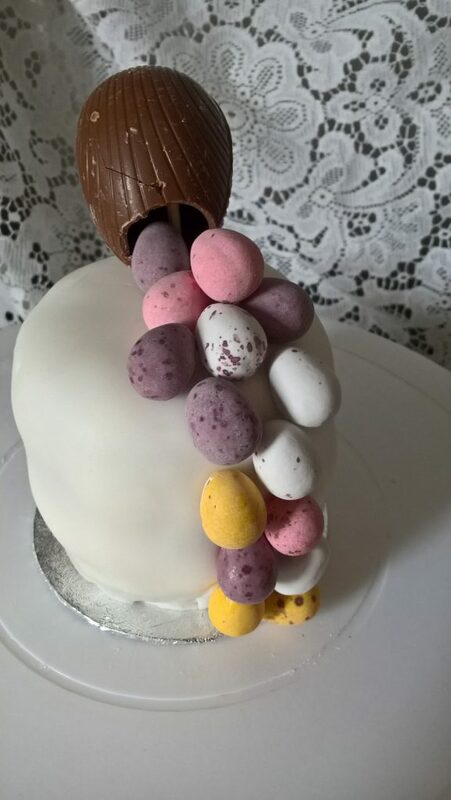 Who says you can’t have your cake and eat it at Easter? This Chocolate Sponge Cake is flavoured with a Chocolate Buttercream. It’s topped with a Cracked Egg with Mini Eggs spilling out. Place your order now for Easter 2019! Contact Debbie through the website, or on Facebook.